The FX™ Flex-Mix™ Continuous Sugar Dissolver providers fully automatic Brix control using in-line refractometers or mass flow meters and reduces labour costs and cleaning time through the use of self-cleaning final filters. 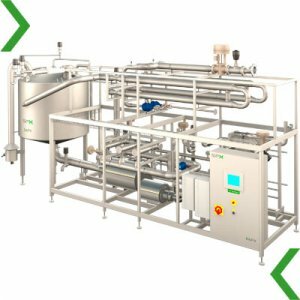 The Flex-Mix Continuous Sugar Dissolver uses the jet mix principle for optimum dissolving and delivers a more precise and consistent product resulting in raw ingredient savings. It is available in capacities ranging from 5,000 to 45,000 kg/h.